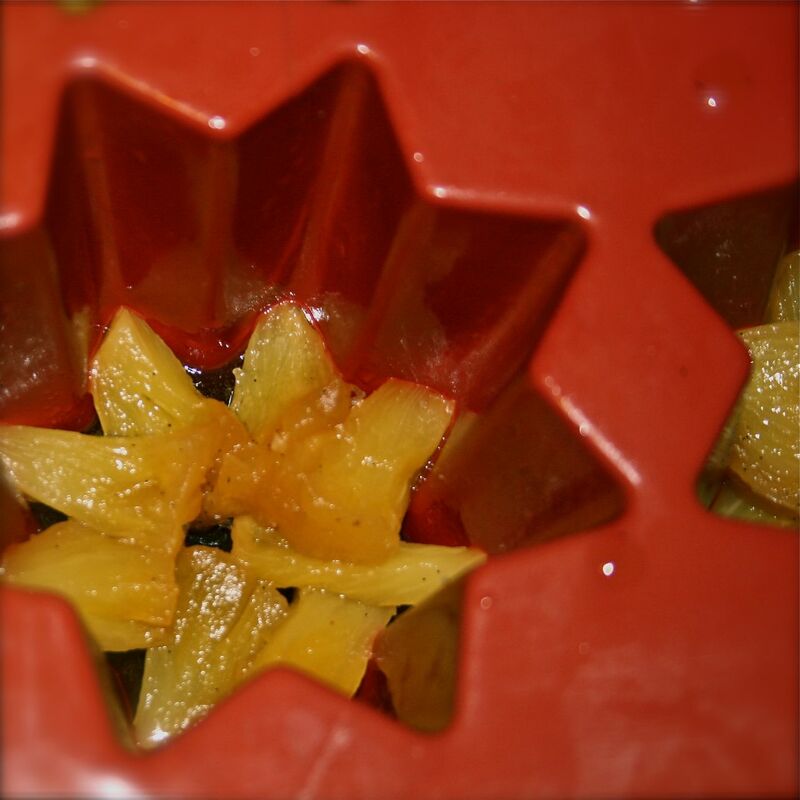 the next step for ROSE’S heavenly CAKES: Caramelized Pineapple Pudding Cakes (page 342) is to make caramel. 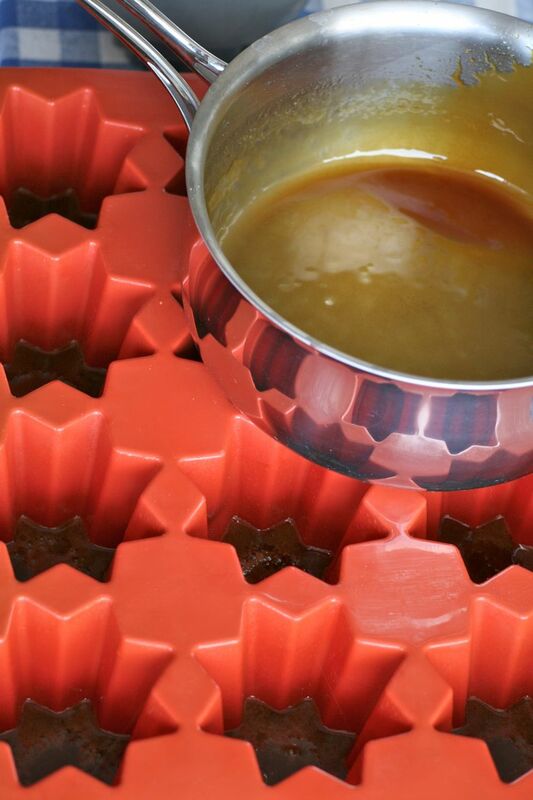 first, coat your pans with caramel. i am using individual pandoro silicone pans. best tools to make stove top caramel and caramel sauce? a cast iron porcelain roasting pan over an induction stove! 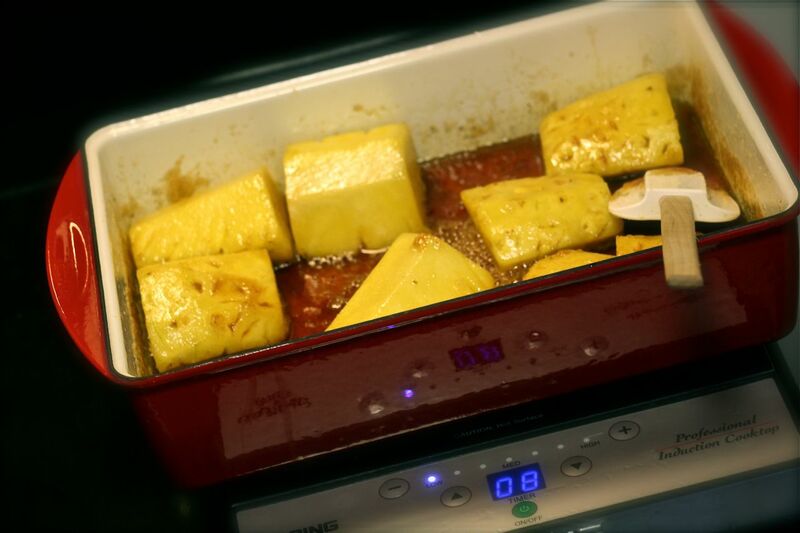 the pan goes right in the oven to slow roast the pineapples on caramel sauce. never before had i played with this much caramel and effort for a cake!